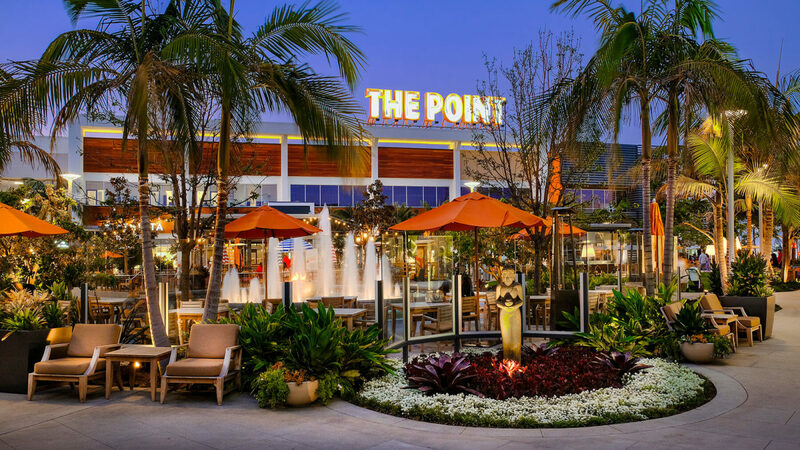 The Point, owned by Federal Realty Investment Trust, is the shopping, dining and entertainment destination residents of the South Bay were waiting for, complete with unique cafes, in demand retailers, fitness studio and expansive outdoor plaza. Follow the distinctive surfboard and skateboard directional sign, and you know you’ve entered something original. 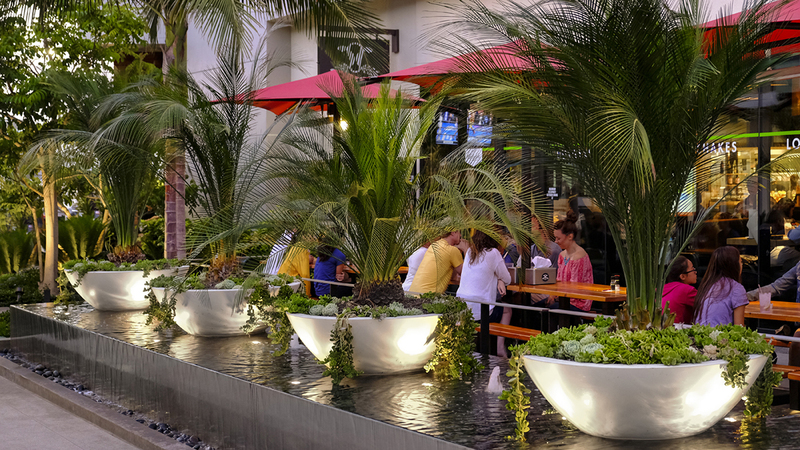 The landscape environment provides many unique gathering areas, outdoor living spaces, foosball, Buddha garden, fire pit, fountain, and children’s play area with lifeguard tower and colorful pottery. 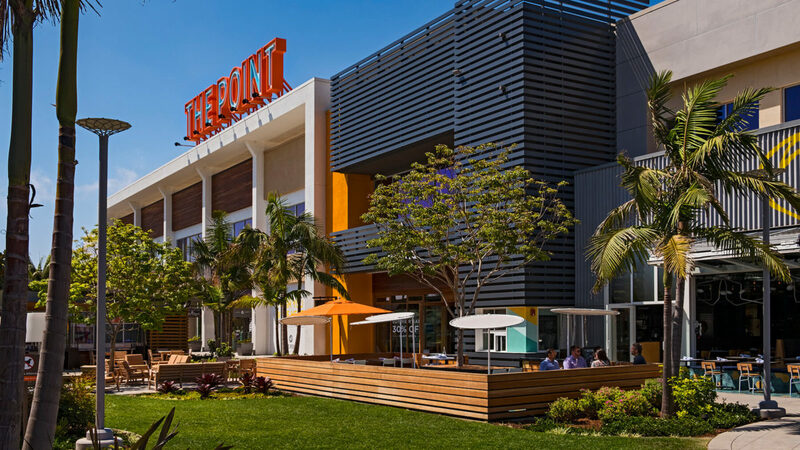 The design also contains a 40,000 sf. programmable, open lawn area for concerts in the park, fitness classes, movies and other community events. 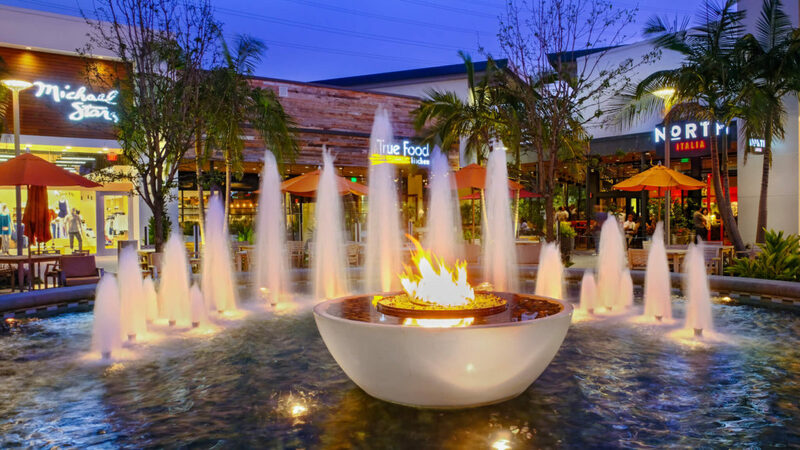 The main water feature contains a fire element bursting out of the center, and there’s a second, elongated water feature alongside outdoor patio dining, creating a “natural” wall. Other hardscape elements include thermory wood decking and colorful pottery. 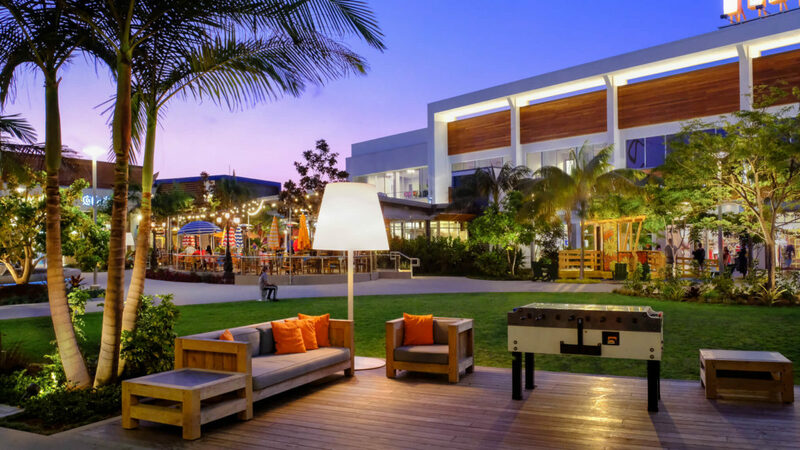 The outdoor living rooms are residential-scaled and have fire pits and oversized lamps with lampshades for a fun, whimsical flair.